Last weekend, Italian elections produced one of the most sensational electoral turnouts in the Republic’s history. Pierluigi Bersani, leader of the Democratic Party and of the left-wing coalition, secured the majority of the Chamber by an unexpectedly low margin. Silvio Berlusconi returned after failing to cope with the European economic crisis and being replaced by Mario Monti’s technocratic government. Berlusconi abandoned his one-man party to a slow collapse and built a coalition that managed to win a relative majority in the Senate. Monti’s list, which was supposed to side with the left and allow the bi-cameral governability that the country needs to function, did not get the share of the votes that would have enabled an absolute majority in the Senate. 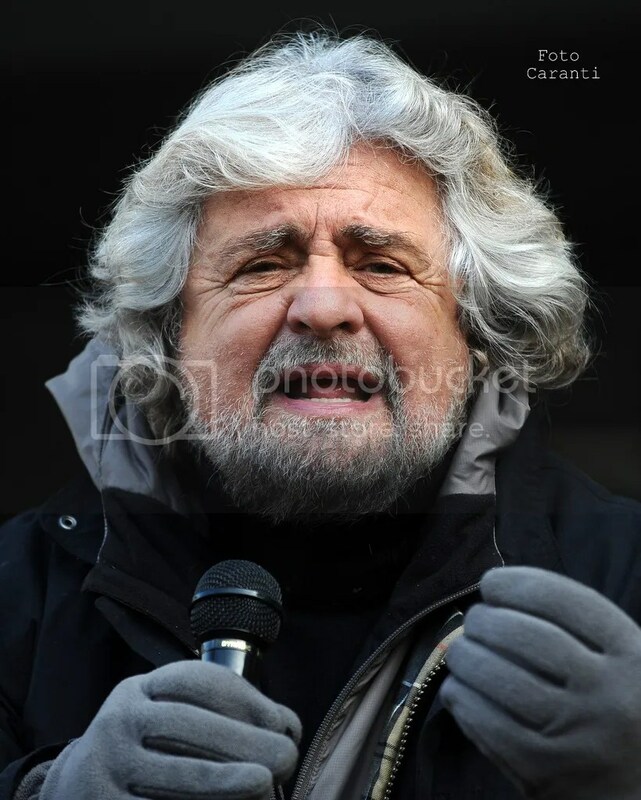 At the same time, the four-year-old Five Stars Movement, an anti-political “free association of citizens” founded by the comedian, activist and blogger Beppe Grillo, ended up being the biggest party of the nation, getting 25 percent of the votes. Portraying a popular reaction to Italian political stagnation, the “Grillini”, as the supporters of the movement are called, represent the biggest accomplishment in the history of anti-politics. The peculiarity of Italian politics might induce one to think that the growth of concepts like anti-politics and anti-parties is specific to Italy. Indeed, the nation has a long history of social detachment from politics. Widespread and publicly acknowledged high-level corruption, always more convoluted technical language, a vulgarized political context and the collapse of elite figures on both sides have all enhanced the people’s disentanglement with the political life of their country. Even though the extremes of the Italian context might justify the Five Stars Movement’s extraordinary success, anti-politics is not merely an Italian phenomenon, but rather a broader European one. Indeed, decreasing voter turnout, low confidence in the Parliament compared to other social institutions and an extremely low perceived trustworthiness of politicians represent a common pattern throughout the majority of the European countries. What is behind this phenomenon? The current primacy of the economy. For major political parties the main task of politics is now concerned with the economy’s well-being and the distribution of wealth. Promised or withheld tax breaks are at the core of political debates. Parties’ social and civic involvement is overshadowed by the mission of balancing budgets, reducing debt and at the same time delivering promised concessions. The spread of technocratic governance, seen in Italy and Greece, has confirmed the centrality of economy in modern politics. If the main objective of governments is managing the economy, wouldn’t a team of managers be more successful at this task? Globalization has further increased people’s cynicism. Indeed, political parties have progressively proved less relevant in their respective countries’ economy than multinationals, credit rating agencies, international banks and the other main actors of the international market dynamics. In this panorama of apolitical politics, anti-politics carved an expanding niche in Europe by reintroducing a lost understanding of politics. Founding the German Greens in 1979, Petra Kelly coined the expression “anti-party”. Her conception of anti-politics was characterized by a populist orientation and a moral opposition to political power. Modern state had subsumed civil society. From this assumption arose the intent to re-establishing the citizen as the autonomous protagonist of politics. The extraordinary empowerment of social media in the last ten years has allowed this idea to further develop in different countries, such as Germany and Italy. The preamble of the Pirate Party of Germany’s program clearly states that the digital revolution brings humanity the opportunity to advance democracy by reinforcing freedom and civil rights like free speech and the individual’s ability to participate. These “Pirates” log in to Liquid Feedback, the Pirate Party’s online platform, promote and discuss their positions, and collectively develop their party’s goals in a continuous process of social participation. The party focuses on promoting non-commercial reproduction as a way of endorsing culture and the greater public good, destroying global patent laws in order to stimulate innovation, fostering free and continual access to data to distribute power as broadly as possible and promoting a new transparency of the state. Like the Pirate Party’s of Germany, Grillo’s “Movimento 5 stelle” aims at giving civil society the political role it has lost. Through digital democracy and citizen participation on the movement’s website, a more open and direct interest articulation is supposed to give society a more efficient service than the one provided by traditional parties. According to the movement, elected politicians become employees of the collective, providing a service for all society, not just the share of the electorate that voted for them. On this line, the movement rejected more than a million euros in electoral public subsidies, which in the past have caused the proliferation of thousands of unnecessary parties and fostered chaos more than anything else. To rejuvenate the political elite, the movement advocates the elimination of the politicians’ practice of getting two or more offices. It also proposed a civil registry of the “elected”, making the members’ transparency and ethic commitment the slogan of its new civic lists, as opposed to an old political elite hand and glove with private interests. From an economic perspective, Grillo’s movement embraces theories of economic degrowth, promotes sustainable mobility, energetic alternatives and a better quality of life, and social justice rather than an intangible series of numbers to balance in name of an ephemeral international approval. This down to earth approach allowed the Five Star Movement to group the people’s growing frustrations related to the status of the economy, as Mario Monti’s austerity policies did not succeed in re-igniting growth. The Five Star Movement had already accomplished an unexpected result in the regional elections in 2010, with multiple mayors elected from its lists. The Pirate’s Party’s takeover of nine percent of the Berlin parliamentary elections, and regional exploits with 7.4 percent of the votes in Saarland and 8.2 percent in Schleswig-Holstein, showed how this shift towards a new media-centered and civic understanding of politics goes beyond country’s differences. Although the context of Italian politics exasperated the popularity of this new form of civic participation, the election’s outcome still represents an enormous stepping stone. Are the Movement’s program and its civic members qualified enough to govern a paralyzed country and not just propose a utopic dismantling of the old system? The answer to this question will probably have to wait. By now, the only real outcome seems to be the nation’s ungovernability and an even deeper political stagnation.